Michael Cohen, the former lawyer for President Donald Trump, is being investigated for tax fraud, according to a report from The Wall Street Journal. Cohen was Trump’s personal lawyer and fixer for decades but recently stopped working for the president in a personal capacity. Michael Cohen, President Donald Trump’s longtime personal lawyer and fixer, is being investigated by federal prosecutors in New York for tax fraud, according to a Tuesday report from The Wall Street Journal. Federal prosecutors subpoenaed Cohen’s former account Jeffrey Getzel. 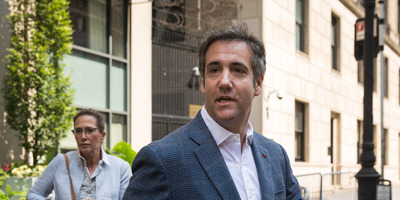 The report said that Getzel had also served as an accountant for Evgeny “Gene” Freidman, who worked as a taxi-medallion manager for Cohen and was said to be cooperating with the prosecutors. Cohen is already the subject of a handful of investigations, including for campaign-finance violations and illegal lobbying. He has also been under fire for a $US130,000 hush-money settlement to the adult-film star Stormy Daniels just before the 2016 election to keep under wraps her allegations of a brief relationship with Trump, which he denies. Cohen, no longer working for Trump, is being represented by Lanny Davis, a former adviser to President Bill Clinton. Trump is now being represented by former New York City Mayor Rudy Giuliani.